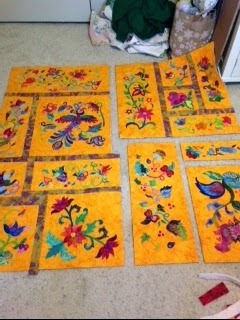 I AM A COMPULSIVE OBSESSIVE QUILTER!!!! I finished my Jacobean quilt. I started the first piece of applique on July 6, 2014. 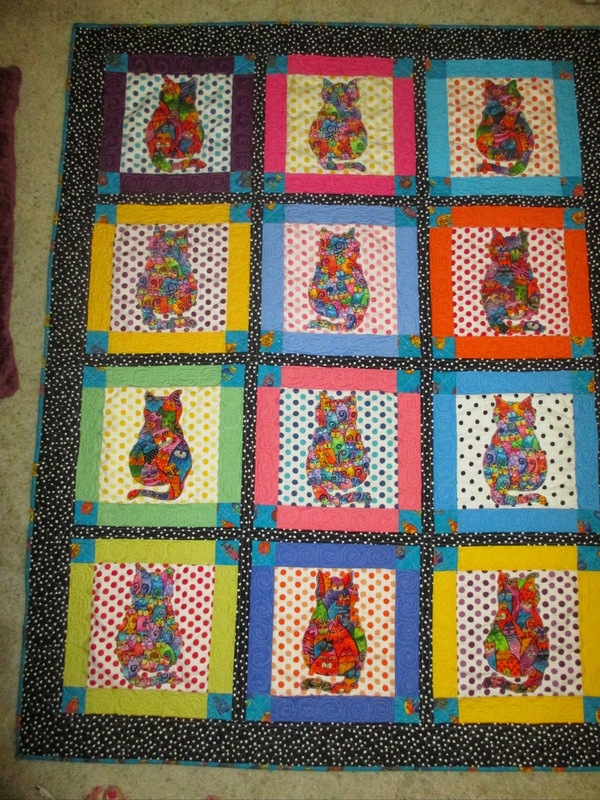 I combined 3 of Patricia B. Campbell's patterns and even designed one of the blocks myself. 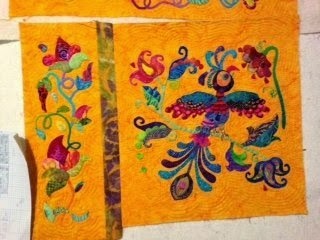 It's needleturn applique and I also hand quilted it. I've added beads and crystals. Used batiks and Kaffe's fabrics. The background fabric is a yellow batik. I used Ombre fabric for the vines. I am a Christian, I love the Lord. Have a wonderful husband, great family and church. I live in Broken Arrow, OK, and just Retiried from 22 1/2 years of working for a Children's Book Publisher. We have 3 wonderful Quilt Fabric shops. I try to purchase fabric for quilting when I travel. My husband and I even take little trips to purchase fabric. I stay so inspired to quilt and love it when I inspire others.